Some of you may have heard of “Adobe Voice”, a super-easy way to create a digital story with graphics and perhaps some background music. Some of our faculty and students have already been using it. Adobe also had a tool called Adobe Slate that you can use to create media-rich pages. In the past we had to use these separate apps on mobile devices, which may discourage use. What if you have some content on your computer, and some on your iPad. A fluid user experience is key. Check my article on “fluid learning” here if interested. The best feature, after the merging of several products, is the ability to sync content between devices. You can start a project on your computer, and then you realize you have some graphic on your iPad, you can access the same project on the iPad, and pick it up on your computer. Another of my favorite feature is the ability for you to search for graphics (icons or photos) you may not have on your own. Spark will automatically cite it for you on the acknowledgement page. A third feature that seems to be new is the ability for you to update your content without having to change the link (but you have to update the link to have the content refreshed where you link to it). This allows you to use the same link in your instruction without having to re-generate codes. Give presentations on a topic, e.g., Principles of interface design. Try turning your PowerPoint into a video using this tool. You can work on one slide at a time. If you mess up on a particular slide, go back to that slide and record your audio again. I love the granularity of this. Give instructions. 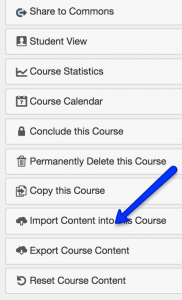 For instance, you use screenshots to guide students to navigate your course. Here is an example I produced: Learning Canvas. Provide student feedback. You can of course use a screencasting session to go over their work, but if there are only one or two places you would like to go over with a student, you can use a few screenshots and narrate over each of them. Create rich media content. Instead of using text only for some of your content, certain elements, such as important quotes, can be turned into a graphic using Adobe Spark’s social graphic functions. Check out Spark’s home page at spark.adobe.com where you’ll see many examples that may inspire you to do something similar with your content. 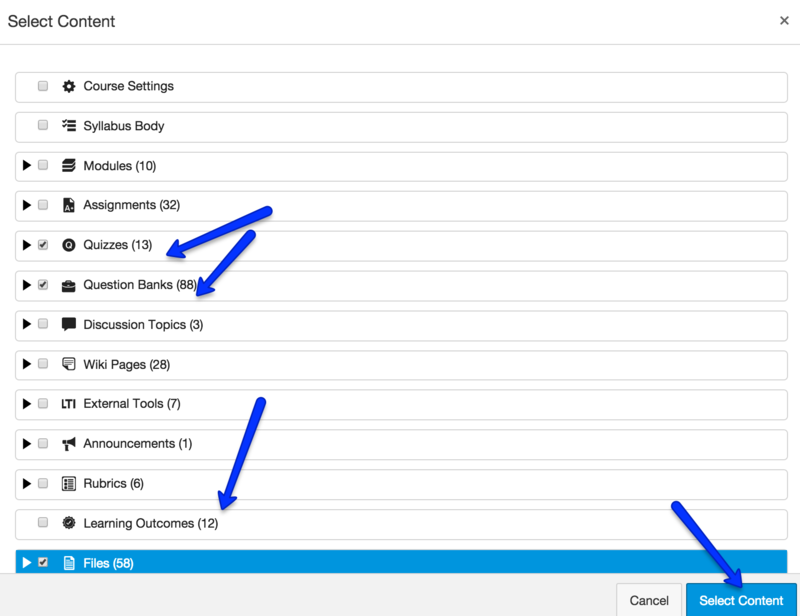 If you use Canvas app, you might notice that it shows all the courses you have taught since we started to use Canvas. You can get rid of some of the clutter fairly easily. Please check this tutorial for more information. 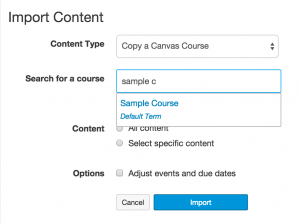 Turnitin and Canvas are phasing out the Turnitin API tool in Canvas. Instead, you are encouraged to use the LTI tool. In order to minimize disruption, we no longer turn on the API tool when switching to the new Canvas user interface on June 18, 2016, the date set to switch to the new Canvas user interface (check here for more information). However, the LTI tool is available to use now if you will be teaching a summer course. What is the Turnitin LTI? The LTI tool, also known as “external tool”, allows Canvas users to use the full features of Turnitin, including Peermark. 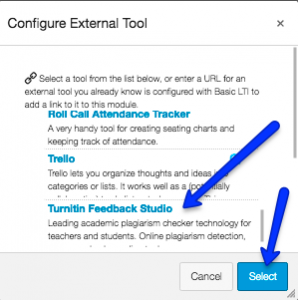 When you add an assignment in Canvas trying to enable Turnitin, add it through “external tools”, as shown below. 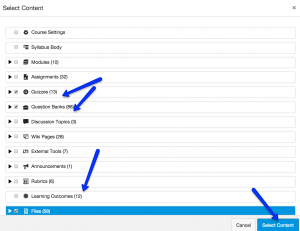 How do you add an assignment via the Turnitin LTI? 5. Save the assignment setting when you have done the above. What happens to the API? 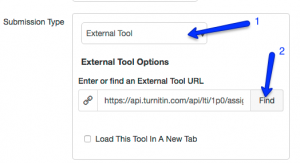 If you used to be choosing “online” in the submission type and you click on the checkbox beside “Enable Turnitin Submission”, you were using the API tool, which Turnitin is phasing out. In our earlier instructional video, we were showing the old API method. If you have not used this method anyway, the change will not affect you. If you intend to use Turnitin, please remember you will use Turnitin’s grading tools instead of the Canvas Speedgrader. It is not possible (nor necessary) to use both after Canvas and Turnitin phase out the API tool. However, it is possible to use Canvas assignment tool with the convenience of the Speedgrader, etc., while using Turnitin through its site at Turnitin.com for cases that you suspect of plagiarism. 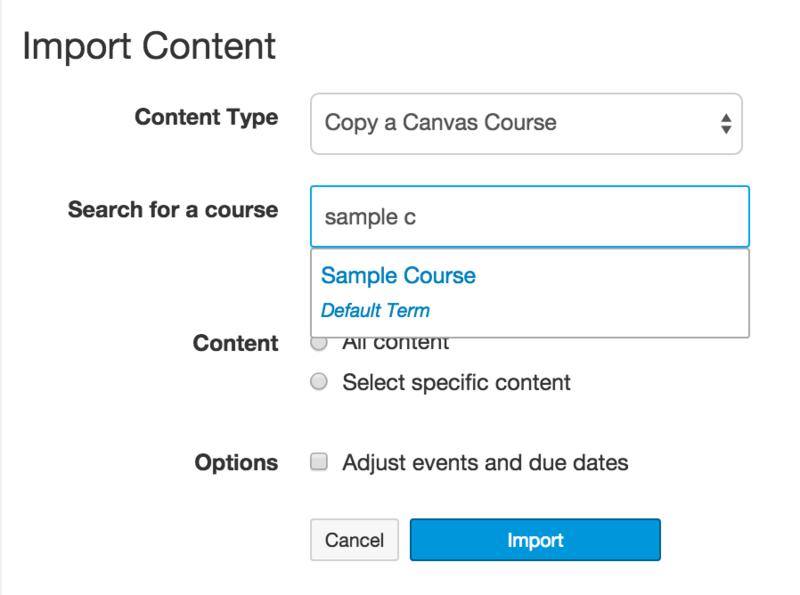 Alternatively you can create all assignments using the regular Canvas online assignment tool, while using ONE Turnitin dropbox for originality check only. I would recommend that you do not allow students to submit the same papers to two classes, as that will cause the papers to be flagged as plagiarized in later submissions. Tell students not to submit their paper to Turnitin through other means to avoid detection as that may deposit their papers in the Turnitin repository anyway, and therefore causing more problems for them when they submit their papers to your course. For more information about the change, read the Canvas site on Turnitin integration. You can also contact Berlin Fang or David Christianson if you have questions or need further information about adding Turnitin assignments in Canvas. If you will be teaching an online course, please remember that some of your students may not have had any experience with online learning or Canvas. I strongly recommend that you send a welcome message to them before course starts. I have drafted sample message for you to customize. 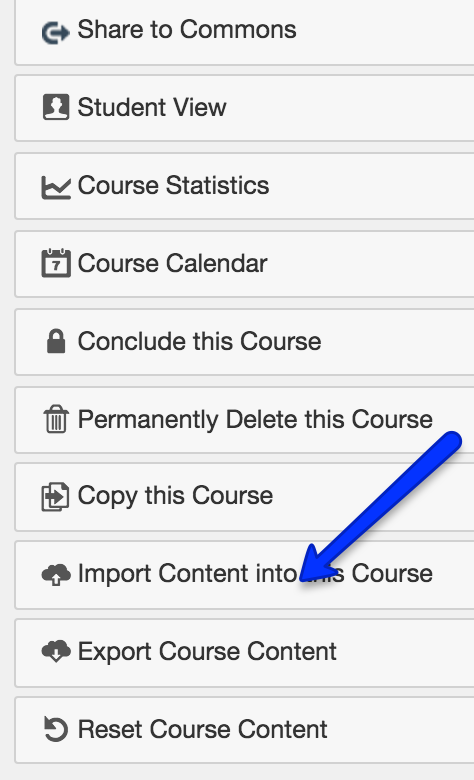 To add this module to your course, go to your course in Canvas, click on “home”, then click on “import from Commons”. 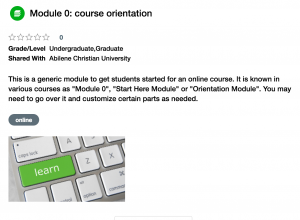 Search for “Module 0: course orientation” in Canvas Commons. When it is found, choose the course you will teach, and then import into it. After importing the module from Canvas commons, feel free to modify it for your own use. 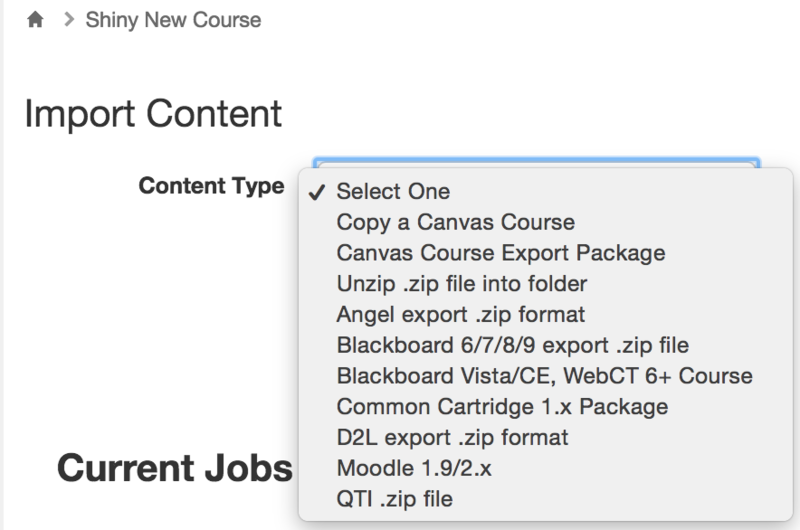 We may sometimes update the content in Canvas Commons, but you do not have to install the updates if you have made substantial changes yourself. If you need help getting your course started for summer, please feel free to let us know. As you grade student work, here are a few suggestions about Canvas grading that may make your work easier. 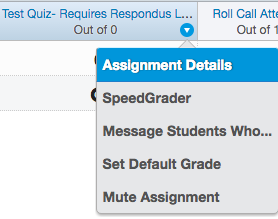 When you are in the process of grading, you might want to “mute assignment” and unmute it when all grades have been entered. This could save some questions from students who wonder why they have not received grades while others have. 2. Having difficulty telling how much each student makes on the final grade? Move the “total” column to the front, near student names, so that it is easier to find out. You can always move it to the back when it is desirable to do so. 3. You can drop the lowest grade(s), as long as you put them in a category. It works now even if you do not use weighted grading. Dropped grades will be shown in gray in the grade book. 4. Are students still missing one or more assignments? 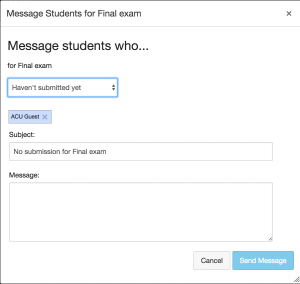 You can message them directly in the grade book while working on a particular assignment, quiz or discussion. Click on the options icon for any grade book column, and then choose “message students who…” to contact them with ease. 5. (Contributed by Dr. Mark W. Riggs, Professor of Mathematics) If you changed a grade but at a later time you want to know what the original score had been, or if you have a teaching assistant grading for you, you could use “view history” to find out more about the grading history, as well as changes you or your TA have made. You can even revert to an earlier grade if needed. 6. Last but not the least, you can have Canvas calculate the letter grade for you for your course. 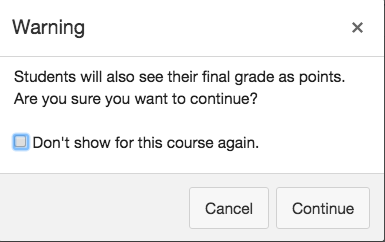 In your course settings, turn on “grading schema”. You can even customize your own grading schema to convert final scores into letter grades the way you specified in the syllabus! If you have questions about any of the above, contact the instructional designers for help. Do you know of another “trick” that you think others may benefit from? Share with us! Canvas Is Getting a New Look! A new Canvas user interface (UI) will be rolled out on Saturday, June 18th, 2016 at 8:00AM, which we found to be the best time for the change after reviewing the summer schedules of both the Abilene and Dallas campuses. The change will be Mostly cosmetic, involving an updated look of the entry page (also know as Canvas Dashboard). The change will not affect the internal structures, functions, or features of your courses. You will see a different global navigation and Dashboard, which has a new view, allowing you to color code your courses. 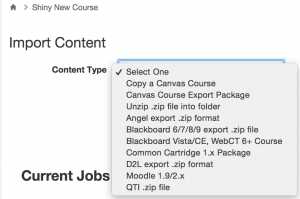 Canvas used to have two Turnitin integration methods. With this upgrade, only one of them will be kept. We will explain further about this using this blog once we have more details. No upgrade will be made to the mobile app – it has already been updated. Read Canvas description of the change. Watch this brief, 6 minute video for a quick lesson on navigating the new user interface. Test the Canvas test site (URL to bookmark: https://acu.test.instructure.com/) to experience the new user interface. Changes you make on the test site will NOT be saved to the live site, but can give you some experience testing out what has changed. Contact the instructional designers (Berlin Fang and David Christianson) if you need further information. 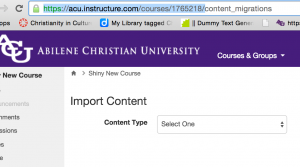 ACU is trying out a new tool for course Readings called SIPX in Canvas. Through this helpful tool, faculty can find readings that they want to use, whether the library owns the book or has access to the journal or not. Using SIPX’s copyright compliance tools, you can instantly see what the total cost of your reading list will be to the students and students who cannot afford the entire coursepack can purchase individual readings through SIPX’s payment processing. The next time you are teaching the course your readings and content are already available and you can renew your course in a few minutes. Through SIPX’s robust analytics tools you can view information on student engagement and also rate assigned readings. The Library can receive reports on what you assign in your courses and help us to invest library dollars in targeted areas that will help save students more money. For more information about SIPX, you can visit this site . Also, see the video below for an example of how SIPX can work here at ACU. 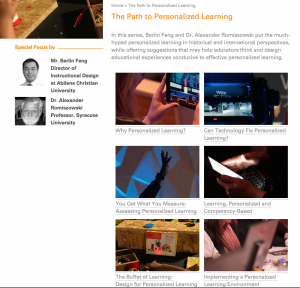 In February, 2016, I worked with Dr. Alexander Romiszowski of Syracuse University in writing a series of articles about personalized learning for World Innovation Summit for Education’s Ed Review. In this series we put the much-hyped personalized learning in historical perspectives, and offered suggestions that may help educators think and design educational experiences conducive to effective personalized learning. Some exemplary work by ACU faculty is also discussed in this series. Check below for the articles. One significant but rarely discussed issue with online teaching is that both teachers and students could have a “reading overload.” Appropriate use of online teaching tools and media components help to address this problem. In a recent Adams Center session for engaging students, Dr. Vic McCracken shared a few of his methods which we found fascinating. When teaching his CORE210 course online, Dr. McCracken had 25 students who were asked to participate in online discussions. It is extremely time-consuming to respond to 25 students’ posts individually. More importantly, student views may overlap at times, and it does not add value to learning experiences to repeat similar responses. So instead of responding to each student, Dr. McCracken recorded a video response every day to share with students. This is a three-week course, which he thinks makes it necessary to post a response daily. If it is a full semester-long course, weekly video response may be sufficient. To make sure students watch his video responses, he asked students to post at least one response to his response. Students were held accountable to interact as he graded these responses. Such video feedback, as well as student responses to feedback, add immediacy and personal presence to his course, while also reducing the time demand for him and students. Time thus saved can be used elsewhere in the teaching process, such as individualized feedback on papers. For these papers, Dr. McCracken marked on them first, using notes and color-coded highlights, and then he used Camtasia to record screencast sessions to give students detailed explanation. Use assignments to collect student work. I strongly advise against using email to collect student work as this creates much busywork for both you and students. Use the assignment tool to collect almost any type of digital artifacts, as the assignment tool makes it so much easier for you and students to send work back and forth, mark on them, and type or record comments without having to create folders in your email or on your computers and spend time looking for them later. Use a forum: Instead of using university email or inbox of Canvas to interact with students one by one on logistical issues, create an online forum titled “questions and answers”, as students may ask the same questions. Use virtual “office hours”: If you sense that many members of the class are struggling with the same issues, consider hosting a virtual office hours session using Canvas Conference or Chat, which allows you to meet synchronously with students. Make sure you offer alternative time slots (one in the morning, one in the evening, for instance) for students who may have schedule conflicts. Do you have any other thoughts on the ways to improve the efficiency of student interaction in online settings? Please share with us! 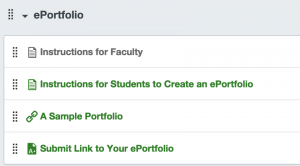 Canvas has a fairly effective tool for building ePortfolios. It allows one to create pages, add attachments, embed videos and add work directly from courses. Please watch the following video for instructions on how to use this tool. 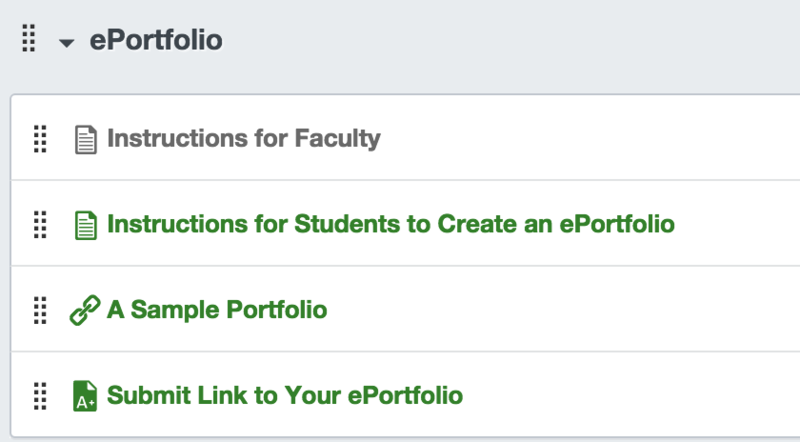 You can search for my name (Berlin Fang) or search for “ePortfolio” to add it to your course and customize it afterwards. Canvas Speedgrader does not have a Word Count feature, though it is under development according to this thread. Before this feature becomes available, you can get your word count in either of these two ways. This may be a fairly minor issue, but it can be annoying if you keep having to copy text into a word processor for word count while grading. If you use Chrome or Firefox, install an extension called “Word Count Tool”. I could not find a similar tool in Safari yet, but please share if you find one. If you enable Turnitin for student assignment, Turnitin allows you to see the Word count for the paper fairly easily. Click on the percentage that represents matching, such as “8%” below. Click on “Text-Only Report” at the bottom right corner. Now you should be able to see the word count for the submission. Online teaching is being seen as a “disruptive innovation” for higher education with the potential for changing the ways students learn (Read this New York Times article for more information). On many campuses, online teaching is a regular alternative to face-to-face teaching. We invite you to join the Spring 2016 Adams Center certificate program for online teaching. These sessions will be held around twice a month during the lunch hours (11:30am -1:00pm). During each session participants will develop, as a community, conceptual understanding about best practices in various aspects of online teaching. Each session will also include hands-on activities for participants to finish developing at least one sample module. If you do not intend to teach an online course, you may also find such sessions useful if you incorporate online components into your regular face-to-face, blended or flipped classes. Please RSVP to rsvp2ac@acu.edu or call 2455 to make your reservations. In this session, we are going to examine the benefits of online teaching, what quality looks like, what others have done and what the next steps will be. The end products for this session include: a course shell to work in and a plan for building the course. In this session, we are going to brainstorm ways to “translate” face-to-face teaching into online formats, including different types of content and design principles for delivering content. We would expect you to develop sample content for one module. In this session, we are going to explore ways to promote teacher-student, student-student and student-text interaction in an online setting. We expect you to develop your strategy to create “presence” in your online class, space for interaction, and discussion forums, sample questions & grading rubrics. In this session, we are going to show ways to build and manage media components in teaching, including audio, video and screencasting components that an effective online course should include. We would expect you to select media format to be used, download screencasting applications, and create sample screencast / video / audio segments for your course. In this session, participants will each spend a few minutes demonstrating their online courses for peers to learn from. Please contact Berlin Fang (bxf13b@acu.edu) if you need further information. “1. Title conveys type of assignment. 2.The purpose of the assignment is clear. The purpose of this paper is for you to refine your research skills, to practice analysis and synthesis of historical documents, and to learn about and appreciate what women experienced on the Oregon trail from 1842 to 1865. 3. Describes what completed assignment will look like. The paper should include at least 10 secondary and 5 primary sources. It should be at least 10 pages long, double-spaced with 12 point font. 4. Tells point value in relation to other assignments. The paper is worth 20 points out of the 100 points for all assignments in the class. 5. Describes how you will score the assignment (uses a rubric). Please also note that Canvas has a rubric tool that can be easily used for assignment grading. Check with the instructional design team if you need help setting up your assignments or rubrics. The Canvas grade calculation method is fairly robust compared to other systems. As students usually expect all their course-related information in the same place, you do not need to use Excel or any other tool for grade calculation if you have set things up properly in Canvas. 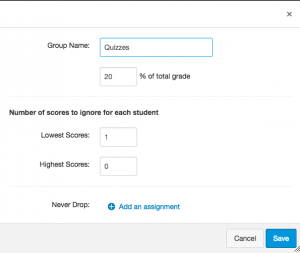 By default, Canvas calculate grades by adding up all column grades. It does not use weighted grading method unless you tell it to. With the total, non-weighted method, you will very like see a percentage rather than raw points for total grades. For instance, for students earning 800 out of a total of 1000, Canvas will display 80%. 1. Mouse over the heading for the column called “total” (usually towards the very end of the page), and you will see a downward arrow, click on it. 2. Click on “switch to points”. 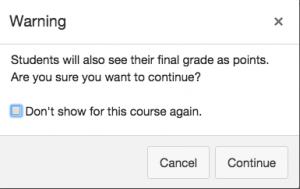 Please note that this option is not available if you have chosen to use “weighted grading” method, because Canvas is following your logic to calculate your total grade based on the percentages you assign for each categories of assessments. 3. You will then see a warning to show that a change will happen. Click on “continue”. Also, take this as a reminder that you will need to tell students your grade display has changed from a percentage system to a total point system. Students will appreciate that notice. 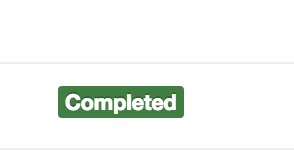 Everything you grade in your course can have a column. A column does not have to be something you collect online. You can even have a column for oral presentation or attendance, for instance. You can move the “total” column to the front (see the second screenshot above) to display final grade together with student names so that it is easier to see how much each student has earned. You can click on any column’s heading to sort the scores from the lowest to the highest, or from the highest to the lowest. Try to make your grade book display the kind of columns your syllabus has described. Discrepancies between the two leads to anxiety and unnecessary work on your part. 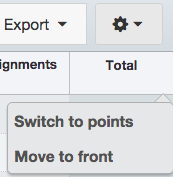 If you use weighted grading, you can use assignments tool in Canvas to create and manage groups. With weighted grading method, you can drop some low grades in a group. Let us know if you would like to help doing that. If you click on the name of a student in the grade book, you can see how each student’s grade is calculated. I would also encourage you to look at one of the student’s individual grade book to get familiar with their view. If you are not sure whose to look at, try students with the highest grade or the lowest grade, which will show the calculation more clearly. You could also experiment with the test student view. Every course has a test student. You can give the test student “fake” scores and see how that adds up in the “total” column as a way to validate your calculation method. You can have Canvas generate a letter grade (A,B,C,D,F, etc.) for you using a pre-defined schema. Please contact me or David Christianson if you need any assistance with any of the above. We’d love to discuss with you in greater detail. As you prepare for your course for the next semester, remember you will need to request a new course shell. Check instructions here if needed. 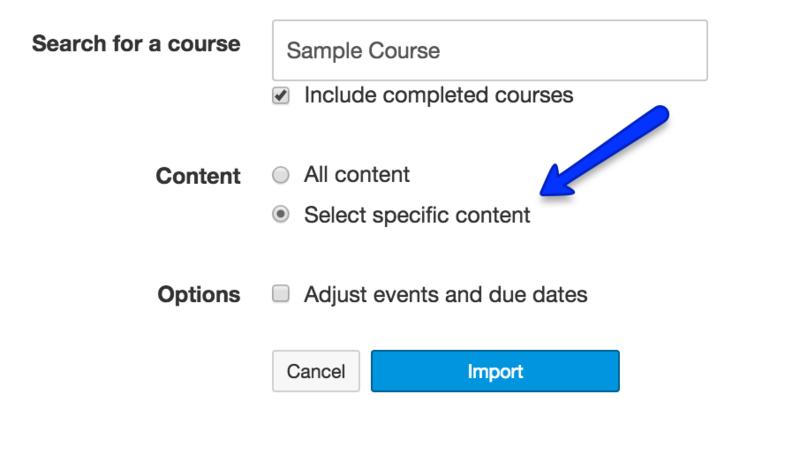 If you want to make an exact copy of the course (clone it), you can choose “copy” when you request it. 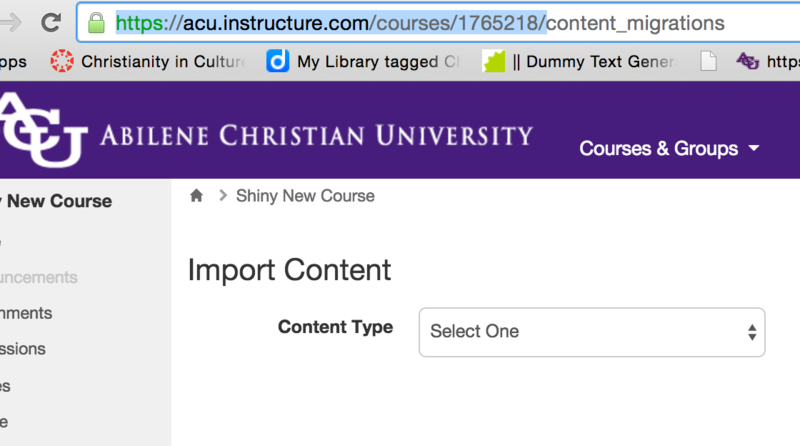 4.Start typing the name or course ID for the course you’d like to copy from, or make your selection from the list. 6. The import process will start, click on “select content” button when it shows. 7. Now you can select one or multiple types of content you would like. Please understand that some content types may be related to each other. For instance, if your quizzes are based on “question banks”, you might want to select both “quizzes” and “question banks”. 8.You will then see the job processed. 9. When you see “complete”. You can start to check if everything looks right to you. If you find that things do not seem right after you import it, do not hesitate to contact us for help. It will be tremendously helpful if you can provide the course URL to us when you need help. Otherwise, we would have to perform a lot of searches to find the course and page you would like help with, with possibilities of us looking at different courses/sections with identical names. When you are on any page in Canvas, you can find that it has a unique URL, just copy and paste that URL in your email to us, or when you try to get help from Canvas directly. Should I have extra credit in my course? Do I want everyone to participate in this activity? What message am I sending to students by having extra credit items? Have I included statements in the syllabus about how extra credit items will affect their final grade? Will extra credit items affect participation in regular graded activities? Am I confusing my students? I can think of the following scenarios of having extra credit. I have also included some recommendations. Please add as needed. Extra credit item that should have been a regular grade item: If the assessment activity is something that you would want all students to participate, then make it a regular item, assign weight to it and hold everyone to the same expectation. If you would like to add items “on-the-fly” without having informed students earlier in the semester, you do not have to use the extra credit method to include some items and exclude others. That would cause confusion easily, when students compare what your syllabus has said and what you actually have in the course. It is better to create clear categories and add items to the categories. Assignment groups and weighted grading allow an uncertain number of items in a category, leaving room for changes in your assessment while not confusing anybody. You could choose to drop some lower grades for a category. Doing so makes more sense mathematically than having extra credit which may or may not count towards the final grade. Extra credit for extra work: If the purpose is to motivate students to do more than what the course requires at a minimum, I would add a category for extra credit (make it worth 0% if you use weighted grading) to distinguish it from regular grading categories. Then create extra credit columns for this category and mute them. This will prevent students from seeing the extra grades. Enter any possible extra credit grades as needed. While muted, these grades will not be seen by students, but they will see that the columns and an extra credit category exist, which may motivate them to do extra work if interested. Having them muted also reduce confusion for students as extra credit items will not be calculated until after they are unmuted. 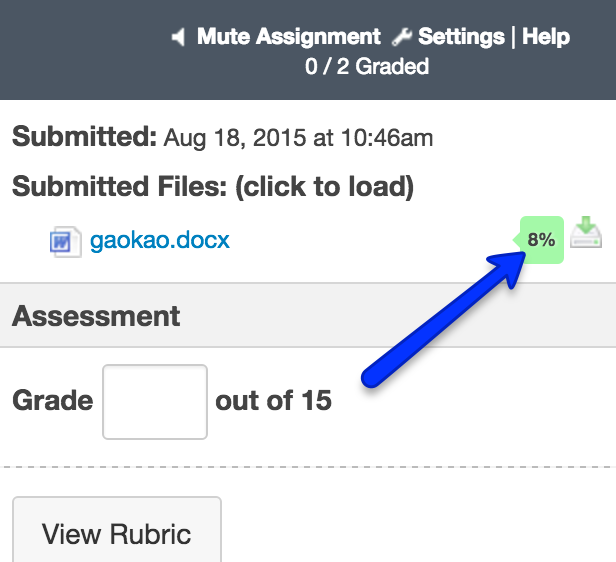 You use the unmuted grades to adjust final grade as needed (see “4. Extra credit for grade adjustment” below). Explain to students about this arrangement so that they know exactly what they are getting. In the meantime, rather telling students extra effort yields extra grades, it is a better idea to hold everyone to the same high expectation of their work. Extra credit for differentiated assignment: If you would like to have options for the same assignment, but allow different kind of products/submissions, consider changing the assignment. You can use the same assignment entry to grade a variety of artifacts. We call this “free-range assignment”. Check this paper Jennifer Shewmaker, Scott Self and Berlin Fang wrote on the topic. Extra credit for grade adjustment: If the purpose is only to give grace to students, to adjust scores for borderline cases (for instance, someone is only 1 point away from an A, for a course with a total point of 1000), calculate extra credit items only towards the end of the semester. Otherwise there might be situations in which students feel they have earned enough grades through extra credit arrangements that they will not put in effort for their work towards the end of the semester. That could adversely affect their motivation in the learning process. In any of the cases above, it is unnecessary to find ways to factor extra credit into total grades, as that will make it a required normal grade item/category, which defeats the the purpose of having optional, extra credit items. We would welcome your thoughts on the issue. There are situations when you need to release a quiz or exam to different students at different times. This can be done fairly easily in Canvas either by individual students or by sections. Check the video below for details. The search box contains many of the features of our library searches so your students are easily able to type in their search terms for accessing articles, books, videos, and other resources. This video explains how to add the search box to the page and its functionality. It increases test security as students in your class will get different test questions drawn from the same question banks, or the same questions in different order. It allows you to reuse questions for multiple purposes in the same course. For instance you can create chapter quizzes as well as major exams using the same question banks so that learning becomes iterative and accumulative. You can easily import your question banks into other courses without importing the quizzes, which makes it possible to re-create quizzes in different configurations. In the tutorial below, I am going to show you how to create quizzes from question banks.